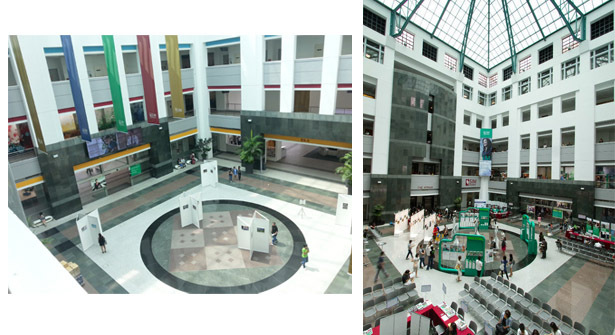 The Singapore Institute of Management (SIM) merupakan penyelenggara pendidikan tinggi dan pelatihan yang terdepan dan profesional di Singapura. Didirikan oleh lembaga manajemen non-profit pada tahun 1964 saat ini SIM Global Education menawarkan sampai dengan 50 program akademik dengan jumlah pelamar mencapai 23.000 siswa dengan 2.500 siswa asing diantaranya. 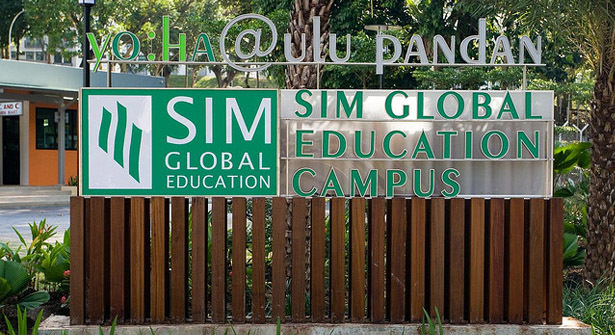 SIM Global Education berlokasi di 461 Clementi Road. SIM menyediakan akomodasi on-campus yang terletak di 100 Ulu Pandan Road. Berlokasi hanya 10 menit dari kampus utama SIM Global Education. Disediakan 6 Hall of Residence dilengkapi dengan kamera sekuriti 24 jam sehari dan access card yang hanya dimiliki oleh para penghuni akomodasi. 6 Hall Residence ini terdiri dari 247 kamar dan 428 tempat tidur yang dilengkapi dengan Air-Conditioned. Terdapat pilihan kamar baik single, double maupun triple shared. Tersedia juga 4 apartemen yang berbentuk studio untuk para orang tua siswa dan fakultas yang berkunjung. Area Laundri, pantry dan kafetaria juga disediakan di akomodasi tersebut. My name is Jeremy. I would like to say thank you so much to Eduworld for their support in my education to LASALLE, Singapore majority in BA (Hons) in Film. They have helped me with every detail that I needed to study abroad. EduWorld provides a very good service especially for domestic students who consider to continue their study overseas. Students can easily choose which school or college outside after getting a good recommendation from the staff. EduWorld, best partner and a very good representative. Eduworld is the best school agency. With the humble staff that they have, Eduworld always ready to help me with the issue that I got about how to study in the UK. They didn’t put any charges at all. They are always ready whenever you want to ask a question and they will answer it patiently. They make your application to the university easier and you don’t need to worry to choose Eduworld as your school agency. Big thanks to Miss Indah and Eduworld! In July 2015, I went straight to LASALLE College of the Arts, Singapore, but I didn’t get sufficient information there. I was confused! After edufair event in my school, I visited EduWorld office. Miss Indah, EduWorld staff, guided me not only in preparing required documents but also gave me advise to improve my technical capability needed in audition or examination conducted by the LASALLE. Yes! I got through it all. Thanks EduWorld. Thank you Miss Indah.